DentalPlans.com offers you an easy, convenient way to find a Kansas City dentist in our large dentist directory. Just enter your ZIP code to view the discount dental plans and dentists available in Kansas City. Select one of our featured discount dental plans and get ten percent to sixty percent off most dental care procedures from participating dentists like Dr. Michael J Isaac. Simply visit Dr. Michael J Isaac or any other participating dentist in Kansas City, MO to save on most of your Oral Surgery needs. 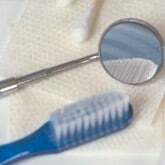 At DentalPlans.com, our discount dental plans start at only $79.95 per year and include discounts on many dental care services such as Oral Surgery. The DentalPlans.com dentist directory features an enormous selection of general dentists, orthodontists, oral surgeons, periodontists, pedodontists, endodontists, and prosthodontists! So if you want discounts on oral exams, cosmetic teeth whitening, braces (orthodontics), root canals, crowns and more, our qualified Kansas City dentists or dental care specialists can help address your dental care needs.